Humans have looked to animals such as dogs and cats for companionship since ancient times, with the first accounts of pet ownership dating back to over 10,000 years ago! Our furry friends love us unconditionally and always listen if we have something to say, but sometimes it is easy to forget that they have needs as well. Owning a pet can be an amazing and rewarding experience, but it is also a great responsibility. That is why February is Responsible Pet Owners Month. The first recorded burials of humans with their canine or feline companions take place in the Middle East. The ancient Egyptians begin welcoming cats into their homes to hunt mice and protect their stored food. Pet ownership becomes common among wealthy Europeans and the word “pet” (taken from “petty” or small) is introduced into everyday vocabulary. Businessman James Spratt creates the first commercially available food made just for dogs. It is very important to take your pet to visit the vet at least once a year. 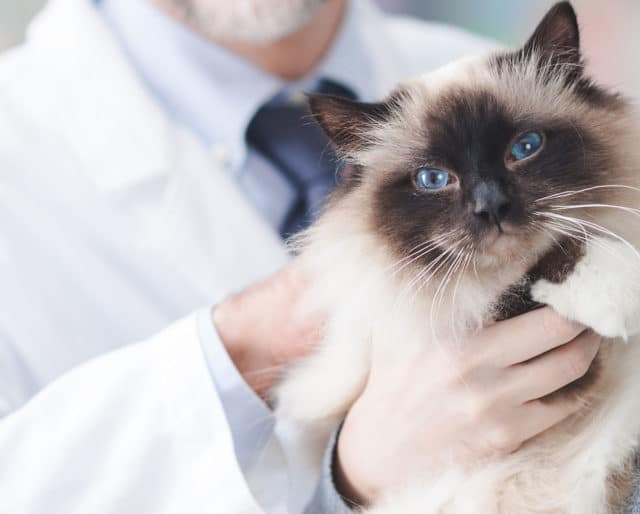 Besides treating your pet for illnesses, your vet can also provide you with all of the information you will need on your pets needs regarding diet, exercise, and living environment. If you haven’t brought your furry friend to see the doctor in a while, its time! Different pets need different diets, and it is essential that you know what type of food and portions your pet needs. A regular, portion controlled diet can help your pet live the best possible life. This is a great topic to bring up during your visit to the vet. A common mistake that many pet owners make is failing to realize all of the hidden dangers for their pet right inside their own home. Responsible Pet Owners Month is a perfect occasion to pet-proof your home. Research household products, foods, houseplants, and objects that are potential hazards for your pet. Dogs and cats are naturally curious, so be sure to place these items in a place they absolutely cannot reach. We all want our pets to live happy and healthy lives. Responsible Pet Owners Month is a great reminder that there are always new ways to help our animal counterparts enjoy a more comfortable life. It is important to know your pet and what needs he or she may have. If you don’t already know what your pets optimal diet and exercise routine is, Responsible Pet Owners Month is a great time to learn. Responsible Pet Owners Month is an opportunity to celebrate responsible pet owners, but it was also created to spread awareness for the countless animals that aren’t so lucky. Every day dogs and cats are abused or mistreated in their own homes. It is important to spread awareness so that this trend can stop. Since our pets can’t speak to us, it can be easy to forget that they have all of the same emotions that we do. Our pets feel hunger when they are not fed, sadness when we leave, and happiness when they are loved. Responsible Pet Owners Month reminds us that our pets are not just another toy or accessory, we have an obligation and responsibility to take care of them.